Can Your Body Odour Cost You the Job? Body odour and bad breath. Good personal hygiene is crucial for a job interview. If you smell like you haven’t showered, brushed your teeth, or put on deodorant, very few employers will hire you, even if you are a perfect fit for the position. If you’re not sure if you’re clean enough, then shower again. Cigarette smoke. Some employers would prefer not to hire smokers. There is a perception that smokers take more breaks, and many people hate the smell of cigarette smoke. If you are a smoker, don’t give the employer the opportunity to discriminate against you by coming into the interview smelling like cigarettes. Strong perfume or cologne. Since a number of people are allergic to perfumes, many organizations have adopted a scent-free policy. If your perfume or cologne is overwhelming, the interviewers may find it distracting. Additionally, wearing strong perfume or cologne makes you appear unaware and inconsiderate. Make sure that you’re clean and skip the scent. Food smells. 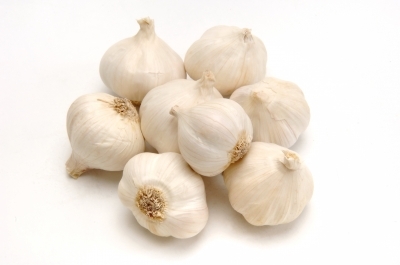 Certain foods, such as onions, garlic, and strong spices stick to your clothes, skin and hair. These smells can be strong and unpleasant. Don’t eat or cook strong smelling foods before an interview, and if you think that you might be carrying an odour, shower and change. The interviewer doesn’t need to know what you had for lunch. Alcohol. If you show up to a job interview smelling like alcohol, no employer will hire you. While it goes without saying that you should never drink alcohol before a job interview, keep in mind that some extra strong mouthwashes smell like alcohol. Avoid confusion by skipping the mouthwash and brushing your teeth. It may seem silly that the employer would decide not to hire you based on the way that you smell. What does it have to do with your ability to do the job? Remember that the employer is not hiring you merely for your skills, but they are hiring the whole package. The way that you present yourself is even more important if you are talking to customers, or otherwise representing the organization. Also, if you have a strong body odour, it presents you as a someone who is not self aware, and who may not understand the requirements of the business environment. Think about it from the employer’s point of view; would you want to hire someone who stinks? Next Article Do You Feel Too Old to Get a New Job? Excellent article. Any comments for after the interview? How to address the situation with an employee/staff member or client that might present a body odour issue? What do you think about strong ethnic food smells in the lunchroom? This is always a touchy issue when trying to address it with an employee or a client. Your success will depend both on your relationship with the person and on their readiness to hear this type of feedback. Do your best to assess, but recognize that this feedback is difficult, and there is a good chance that the other person will get upset. The best way to approach it is directly, professionally and privately. With regards to strong ethnic food smells in the lunchroom, I would say that everyone needs to be tolerant. However, if you are a new employee at an organization, don't rush to put your strong smelling food in the microwave. Wait and see what the common practice is at the organization. Even if it's not commonly done, you may still decide to put your strong smelling foods in the microwave, but it's best to wait until after people have formed an impression of you.